The mysterious power of trees has inspired Japanese scientists to embark on a scientific research to uncover the secrets behind the strong and lush growth of the trees. And after 26 years of their laboratory research, they made a breakthrough discovery when they uncovered the excellent way to restore the balance of both body and mind. 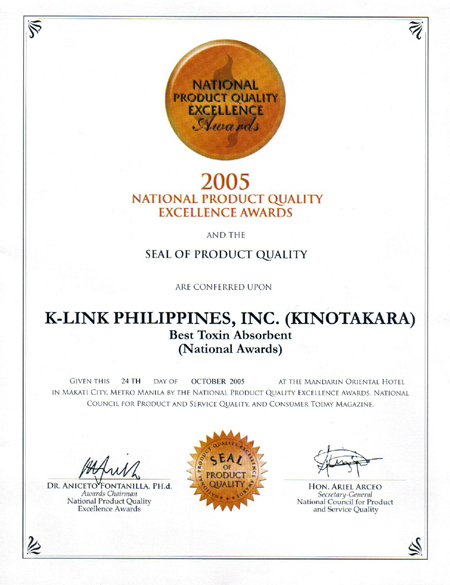 Their discovery led to the formulation of Kinotakara. Using advanced technology, processed wood vinegar and natural resource extracts are made into sachets. Kinotakara has gained unprecedented popularity in Japan, where sales have reached US $18 million a month. 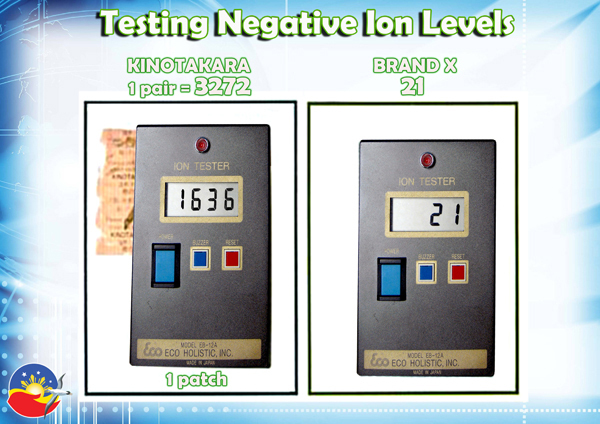 Kinotakara is very easy to use. It is best placed under one's sole, as it is the place with more than 62 acupuncture points, then it adsorb the toxins in the body to make you healthy. Kinotakara is indeed the "Nature's Gift of the 21st Century." It helps you feel energized, rejuvenated and relaxed. Kinotakara helps dissipate feelings of stress and nervous tension. 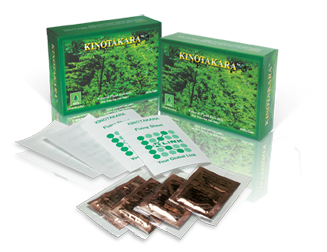 Consumers and distributors from the Philippines, Malaysia, America and many other countries consider the use of Kinotakara as a unique way to experience natural relief from everyday stress.